Northern shrimp caught from the Gulf of Maine. 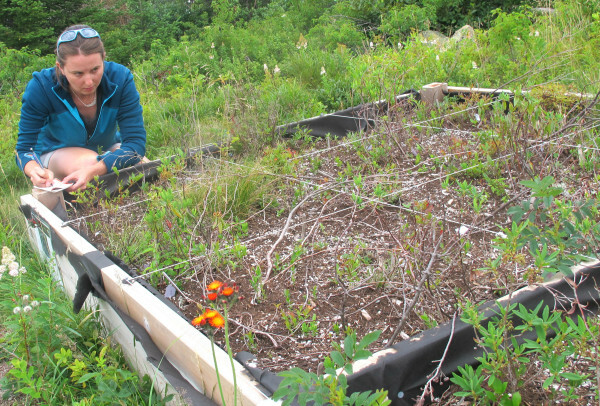 Caitlin McDonough MacKenzie, a graduate student at Boston University, jots down notes Aug. 6, 2014, while checking on one of three raised garden beds she has built to study plant life in Acadia National Park. Researchers and park officials believe climate change is affecting the profile of plant species found in the park. There are the stories about Greenland’s melting ice sheet and people forced to leave their homes on islands in the Pacific Ocean due to rising sea levels. But the stark, universally experienced impacts of climate change that alter day-to-day life closer to home are often more difficult to detect. That’s a chief challenge for those attempting to build consensus around the importance of climate change as an issue, the need to address it, and the need for swift and meaningful action. It’s a challenge that’s characterized the U.S. role during the ongoing Paris climate talks. As President Obama attempts to commit the U.S. to an international climate agreement with some legal weight, Republicans in Congress have questioned the extent of his authority and attempted to thwart his main emissions reduction policy. It’s a challenge surrounding the implementation of any deal to come out of the Paris climate talks. Climate change is less tangible than other environmental challenges this country has successfully confronted in recent decades. Its most visible and damaging effects still appear far off. Public opinion surveys continue to show that a majority of Americans don’t believe climate change will pose a major threat in their lifetime and that climate change doesn’t register as a top environmental concern. But climate change is already changing Maine, even if the changes haven’t yet significantly altered how most Mainers live. 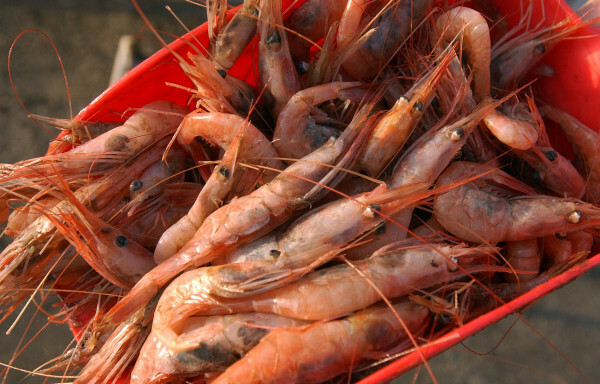 There was more evidence of it Monday as fisheries regulators declared Gulf of Maine shrimp off limits to fishermen for the third year in a row. As with many species, overfishing has led to depleted stocks, but a clear warming trend in the Gulf of Maine virtually ensures that the shrimp population won’t recover in the near future — if ever. That’s because northern shrimp thrive in cold waters; the Gulf of Maine is their southernmost territory. As the Gulf of Maine warms — researchers have found the area is warming faster than 99 percent of the world’s oceans — the conditions become less and less ideal for shrimp reproduction. The collapse of cod, northern shrimp and other species off the Maine coast is one of many examples of how Maine is already feeling the effects of climate change. While temperatures fluctuate with the weather, Maine’s average annual temperature is clearly on an upward trend; the average rose 3 degrees Fahrenheit between 1895 and 2014, University of Maine climate change researchers reported in their 2015 publication Maine’s Climate Future. Maine has also seen the amount of annual precipitation rise in that time — by 6 inches, or 13 percent. And more of that precipitation, according to the UMaine researchers, is falling during extreme weather events, when two or more inches of rain fall within 24 hours. Between 1958 and 2010, the Northeast saw the amount of precipitation falling during extreme precipitation events rise by 70 percent, stressing the infrastructure of cities ill-equipped to deal with flooding. Maine has also seen shorter winters and lower average annual snowfall over time (clearly, with significant fluctuations). Another consequence is the rise of deer ticks farther and farther north. 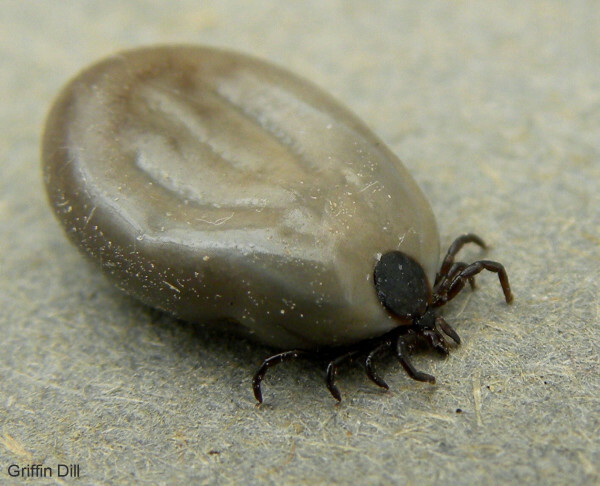 As temperatures warm and winters shorten, ticks can come out of hibernation earlier in the year and attach to hosts. The result is a tangible health consequence: a surge in Lyme disease over the past decade. According to the Maine Center for Disease Control and Prevention, the incidence of Lyme disease in Maine rose 460 percent between 2005 and 2014. In 2005, the agency reported 245 Lyme cases compared with 1,399 in 2014. As Maine’s climate changes there is inevitable change to Maine’s landscape, especially landscapes cherished by Maine residents and visitors. In Acadia National Park, researchers have documented the disappearance of nearly a fifth of the park’s traditional wildflower species over the past century. At the same time, the park is seeing the rise of invasive species and coastal erosion. Climate change is having a greater impact on Acadia than nearly every other national park, Abe Miller-Rushing, Acadia’s science coordinator, told The Boston Globe last year. The evidence is clear, and it’s noticeable. Whatever comes out of the Paris talks, there’s a strong case for action before the consequences become even more universally and dangerously tangible.